Magdalena Tarot Forecast 11/26/18 – 12/02/18 Return to Innocence. 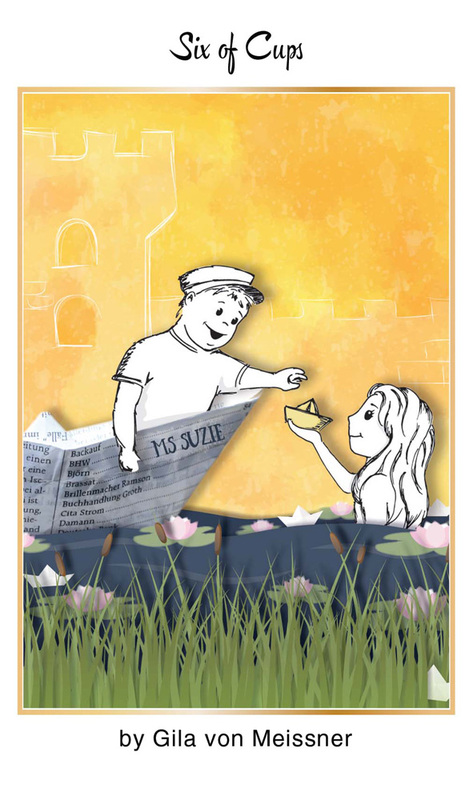 It’s the 48th week of the year and the card of the week is the 6 of Cups. It’s time to take things back to when they were simple. You may not be able to reclaim your innocence, but you can look back and nurture the needs of the child within. Mercury and Venus both enter Scorpio this week, so expect secrets to come to the surface. The number of the week is 3, a mystical number of divinity. 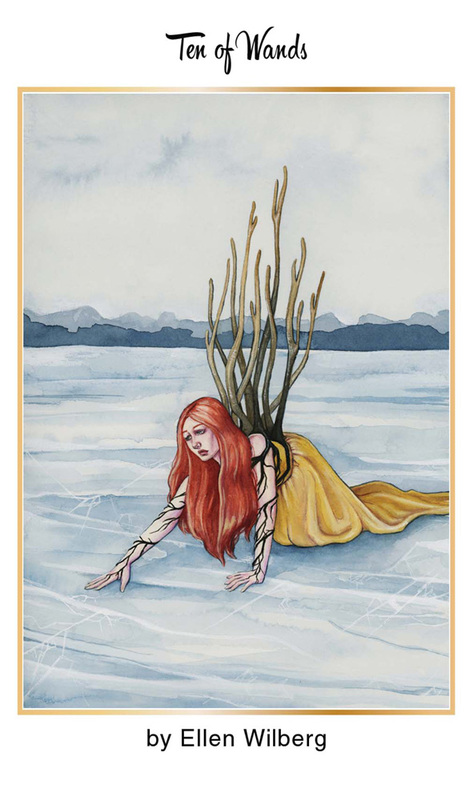 The 10 of Wands is a card that appears at the end of a cycle that may have brought you more success than you were ready for. If you feel like you’ve taken on too much, know that you are in the homestretch and you are about to realize the full scope of your harvest. Mercury square Mars at 12:06 A.M. PST is a transit that may leave you feeling oversensitive to the responsibilities at hand. Don’t let the stress get to you and choose your battles wisely. Know that if you keep pushing you will be rewarded. Moon opposition Pluto at 7:07 A.M. PST may bring intense emotional encounters. The secrets that come to light are part of the burden that is about to turn to a blessing. If you feel desperate for attention under Moon square Venus at 8:16 P.M. PST, know that you are not alone. You may feel tempted to shake up things to get that attention you want under Moon square Uranus at 11:22 P.M. PST but is making drama really worth it? The Moon spends all day in the emotional sign of Cancer where she goes void of course at 11:22 P.M. PST. 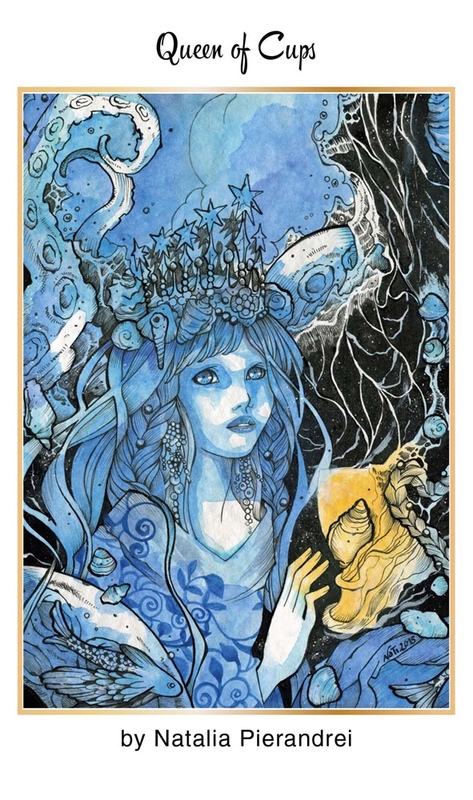 If you need some extra support, it’s time to open your heart and receive, like the Queen of Cups. You are being offered love, let it in. Sun conjunct Mercury at 1:15 A.M. PST is a transit that could find you connecting with others over personal experience. Make sure that you’re listening as much as you’re speaking to receive the messages that will come to you today. Moon trine Jupiter at 7:4 A.M. PST will allow you to give back all the love that you receive today. Moon trine Mercury at 8:22 A.M. PST is an empathetic transit so know that what you give will be given back to you. Moon trine Sun at 9:39 A.M. PST is a transit of happiness, harmony and flow. Let love flow. Mars sextile Saturn at 1:30 P.M. PST is a transit that will give you the focus to carefully plan and execute anything that you’ve been working on. The details are key under this extremely disciplined transit. Mercury conjunct Jupiter at 2:27 P.M. PST is a transit that will allow you to pull back and see the big picture, especially in matters of love and creativity. Spot the patterns but don’t get carried away with fantasies. The Moon is in the shiny sign of Leo all so day so expect to attract the attention you desire. The number of the day is 4, a number of stability. It’s been a week full of lessons so if everything feels like it’s been too much, the Four of Swords appears as a reminder to give yourself the rest you deserve. On top of that, there are no exact transits today so it’s time to simply be and let everything that’s happened sink in. 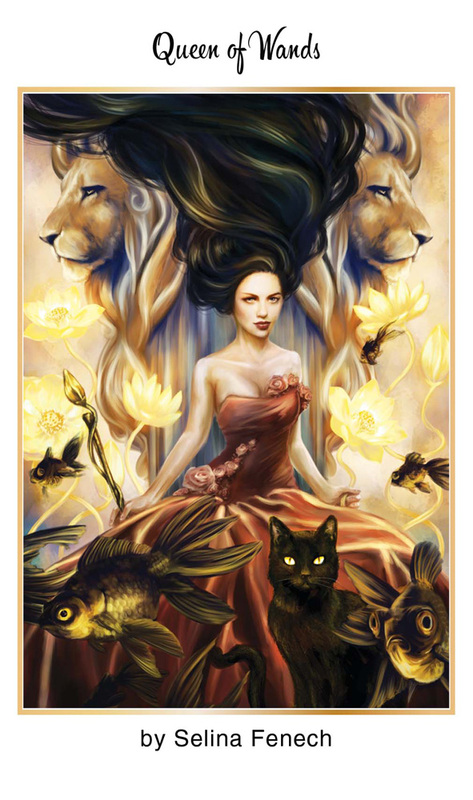 The Moon is still in the bright sign of Leo, illuminating bring confidence that everything has happened perfectly. The number of the day is 5, a number that reminds us that sometimes the best way to overcome challenges is to simply rest. Mantra: Be still and listen to the voice of the Master Within. 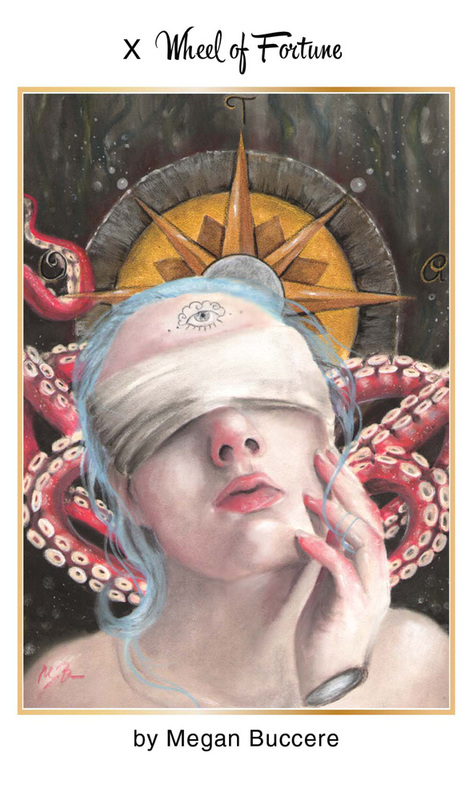 The Seven of Pentacles is a card that appears when you look back at how far you’ve come and see that you did a good job. Although you didn’t quite get what you want, you were still blessed. Moon sextile Venus at 12:16 A.M. PST is a transit that brings creative energy and beauty to whatever you do. The energy you put into what your heart desires will shine. Moon trine Uranus at at 1:46 A.M. PST is a transit that brings revolutionary change. How can you go further? Moon square Mercury at 6:42 A.M. PST is a transit that disrupts communications. This is a time to go within. Moon square Jupiter at 11:11 A.M. PST is a transit that could lead you feeling a little too optimistic. Remember to stay grounded. Moon trine Saturn at 4:18 P.M. PST will bring you back to earth. Moon square Sun at 4:19 P.M. PST brings the last quarter in Virgo. The thae anser to the final challenges you must overcome are in the details. Moon opposition Mars at 6:19 P.M. PST is a transit that can empower you to fight to overcome these challenges but make sure you use this determination constructively. You are not the victim. The number of the day is 6, a number reassuring you that victory can be yours. Mantra: Next time I’ll go the extra mile. The Wheel of Fortune appears when there’s a change in luck for the better on the way. Be prepared to be rewarded for lessons well learned. Moon opposition Neptune is a trasnit of self deception. Don’t gamble away all of your luck. Moon trine Pluto at 12:48 P.M. PST is a transit that brings death and rebirth. In order to make way for the new, you have to loose just a little bit. Venus opposition Uranus at 6:12 P.M. PST is a transit of sudden events in love. Have fun and make love an adventure. 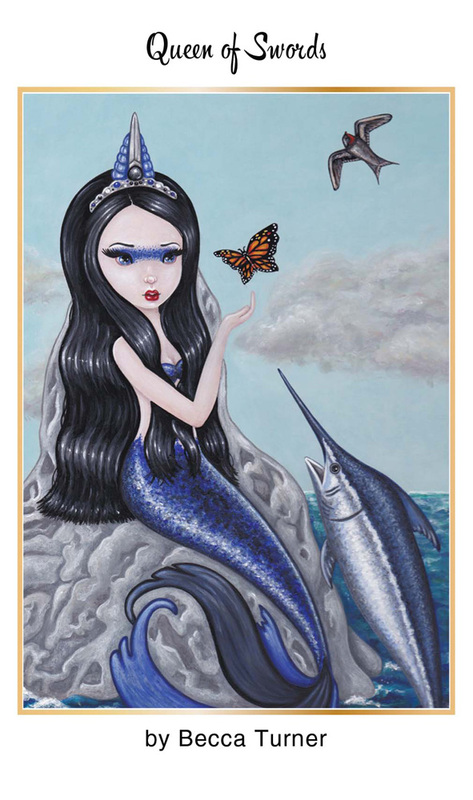 The Moon is in the picky sign of Virgo today so pay attention to the details or luck may be a fickle lady. The number of the day is 7, a number of ineffable mysteries. 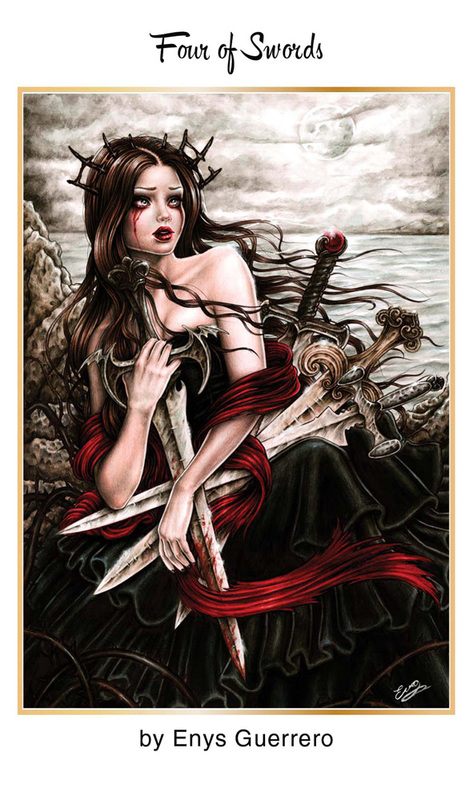 The Queen of Swords is a card that appears when it’s time to look at the facts and connect the pieces. Trust in the feminine side of your logic. Mercury enters Scorpio at 3:12 A.M. PST where He will stay until 12/12/18. When Mercury is in Scorpio, people want to get to the bottom of things. Dig deep and see what you can uncover. It may not be pretty but it will ignite your passion. It’s Mercury Retrograde so if you find your truth, speak it but only if it will wrap up things that should come to an end. Beware of paranoia. Moon sextile Mercury at 6:34 A.M. PST is a transit that will bring flowing communication. Use your words wisely. Moon sextile Jupiter at 3:56 P.M. PST brings optimism and generosity. 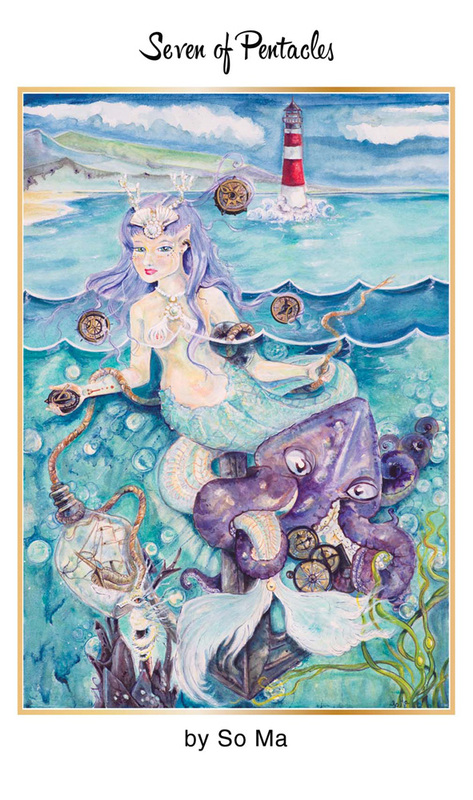 Moon square Capricorn at 8:44 P.M. PST may find that optimism fading. If you need to take some space, do so, but don’t isolate yourself. The Moon goes void of course briefly in Virgo between 6:34 A.M. PST AND 6:49 A.M PST when She enters the objective sign of Libra. What happens today is fair. The number of the day is 6, a number of victory. Mantra: I am in the ruler of my mind. The Queen of Wands lights up the room whenever she walks in. She is the center of attention and people flock to her because of her warmth, grace and beauty. If she does not represent you, she represents someone you will come into contact with today. Moon sextile Sun at 12:31 A.M. PST is a transit brings happiness, harmony and flow. Spend the night with people you love. Venus enters Scorpio at 9:02 A.M. PST where she stay until 1/07/19. When Venus is in Scorpio, it’s all or nothing in love. Passion can lead to obsession and possession. Remember your lovers mind, body and spirit are not yours to own. Guard your heart but don’t let suspicion lead to jealously. Sun square Mars at 4:35 P.M. PST is a transit that may cause small egos to try to start unnecessary conflicts. If you play your cards right and turn your energy to charisma, you can establish yourself today. Moon square Pluto at 5:29 P.M. PST is a compulsive transit that may lead to more confrontations. Beware of manipulation. The Moon is in the balanced sign of Libra so judgement will fall on those who tip the scale. The number of the day is 7, a number of reflection. This entry was posted in 78Tarot, art, Astrology, Mercury Retrograde, mysticism, mythology, Nautical Tarot, numerology, occult, self help, spirituality, Tarot, Uncategorized, Uranus Retrograde, witchy, Writing and tagged abundance, art, astrology, card a day, divination, dreams, empowerment, inspirational, love, magick, manifestation, mantra, meditation, Mercury Retrograde, metaphysical, motivational, mysticism, numerology, occult, pagan, predictions, psychic, self empowerment, self help, spiritual, spirituality, tarot, tarot reading, tarot weekly forecast, wicca, witchcraft, witchy, writing. Bookmark the permalink.